Have you thought about what would happen? A person does not have to be wealthy or elderly to do some serious thinking regarding an estate plan. If you own a home or a car or have a checking or savings account, you have an estate. Often a person with a small or modest estate is most in need of a plan to provide for the proper transfer of that property at death. There are several reasons to have a will or a trust. Most importantly, having a will or trust allows you to decide who will receive your property rather than leaving that choice to a court. Having a will allows you to choose your personal representative. Without a will, the court could appoint someone as personal representative other than a person you would choose. Having a trust allows you to avoid the probate court system altogether if your trust is created and funded properly. If you have minor children you can name their guardian in your will or trust. Your selection of a guardian is not binding on the court, but the court will give strong consideration to your selection. Without a will or trust, the court may appoint a guardian other than the person you would have chosen. If you’re unsure of what comes next, you’re not alone. Many people don’t know what to do or haven’t even thought about the consequences of not having an adequate estate plan set up for their family or small business. Questions arise and Wagner Stuart, PLLC can help. What if I die without a will or trust? Can I dispose of my property as I wish with a will or a trust? Can I change my will or trust? Does it cost more to administer an estate with or without a will? Is joint tenancy a substitute for a will or a trust? 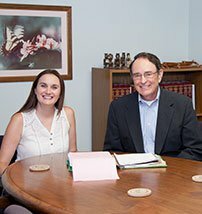 How do I make a will or trust? What is a revocable or living trust and what are its advantages over a will? What are the advantages of having a will instead of a trust? If you don’t have a plan in place for your assets, property or a succession plan, call Wagner Stuart in Tulsa, OK. We can discuss your specific situation and work together to provide you and your loved ones deserved peace of mind. Set up an appointment through this website or by calling our office.